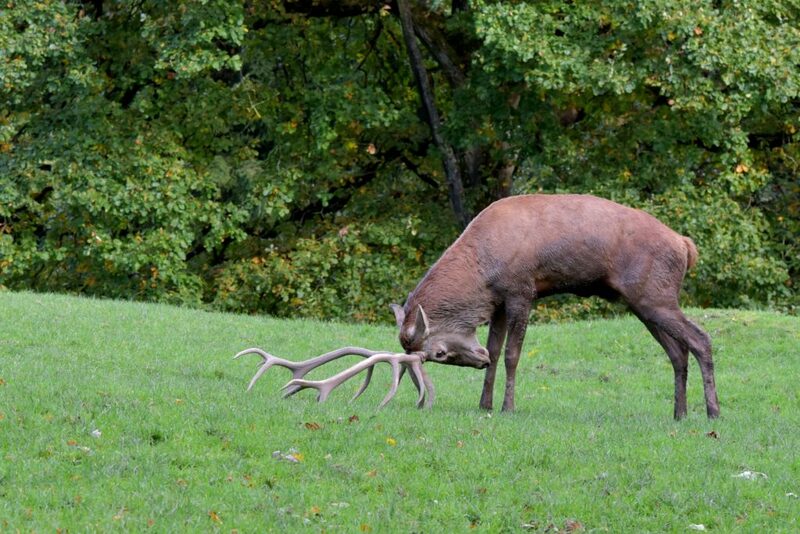 Starting mid-September, the mating season of the deer takes place in our region. The typical song or roar of the stag is part of the mating ritual or is used to repel rivals. Pitch and timbre are different from deer to deer whereby one can distinguish the individual animals. The impressive call, the special acoustics of the forest and falling darkness make for a unique atmosphere. If and when the weather allows, rides from the festival to a specific site in the woods, where one can commonly listen to the mating calls of the deer, will be offered . Friday, Saturday and Sunday, a van will take those who are interested from the festival to the woods. The daily meeting point is the outside entrance to the ‘bistro’.